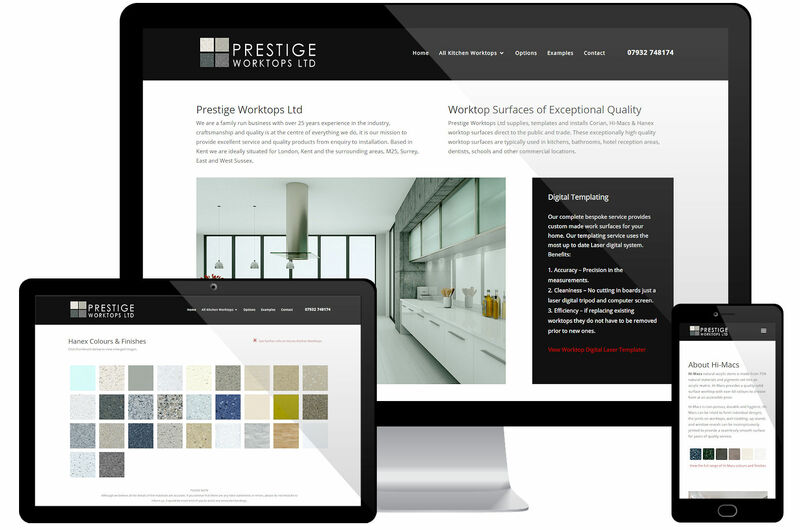 Prestige Worktops provide a measure, supply and fit service for very high quality kitchen work surfaces. The website needed to reflect the clean, sharp, modern appearance of the product. In addition to all of the general information the website provides a series of galleries showing the variety of worktop finishes and colours. Our client uses these galleries whilst in conversation with their customers to provide initial information on the colours and finishing options. We also provided Prestige Worktops with a fresh new logo.